This Rotten Week: Predicting Alita: Battle Angel, Happy Death Day 2U and Isnt’ it Romantic Reviews! This week’s slate of big movies releases gives us a high-concept cyberpunk film, a Groundhog Day for horror fans, and a teardown of the rom-com genre. Get ready for Robert Rodriguez’s Alita: Battle Angel, Christopher Landon’s Happy Death Day 2U and Todd Strauss-Schulson’s Isn’t it Romantic. Just remember, I’m not reviewing these movies, but rather predicting where they’ll end up on the Tomatometer. Let’s take a look at what This Rotten Week has to offer for cinema-goers. Around 15 years after James Cameron and Co. first started pitching and developing it, Alita: Battle Angel will finally see the light of day. It’s a big swing from from producer Cameron, a guy who doesn’t like to hit singles. He’s got Robert Rodriguez directing a tech-embracing film about a future in which cyborgs (for lack of a better word) are aplenty and one girl, the last of her kind, is fighting against an evil organization. 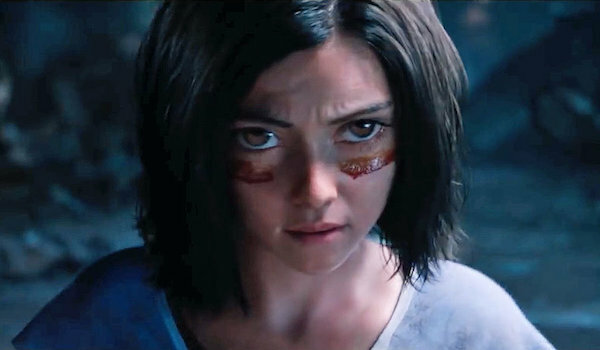 There’s a lot about Alita that looks awesome visually, but it might not totally land with everyone. Early sentiment is generally positive, but not to an overwhelming degree. It’s sitting 61% through more than 80 reviews. That’s a fairly middling score, all things considered, and I don’t expect those stats to tick up at all over the course of the rest of the week. Even the negative reviews don’t pan the movie, per se, and do say that there are exciting moments, but that it’s all ultimately a bit cluttered. I suspect this may become something of a cult movie if the mainstream folk don’t come around. Happy Death Day (71%) was a pleasant box office surprise when it came out a year and a half ago. It took the Groundhog Day concept into the horror realm with a woman forced to live out her birthday over and over. The twist being that she ends each day by getting murdered by a baby-masked serial killer. Critics were mostly on board with the tongue-in-cheek plot line and storytelling. Here we get the inevitable sequel in which Jessica Rothe’s Tree Gelbmann needs to do the whole thing over again, because now her friends are experiencing the same kind of horrific deja vu. Director Christopher Landon is back after helming the first flick. He’s been a screenwriter on plenty of horror movies, but this series is his first director credits. I can’t imagine the second finishes as highly as the first, but the trailer did at least look funny and self-aware of what the joke is. Imagine hitting your head and waking up in the world of a clichéd (and sappy and generic) rom-com? That’s the idea behind Isn’t it Romantic. In it, Rebel Wilson despises the romantic comedy genre, but wakes up to find herself living in a world where dance routines break out spontaneously, where men ride around in limos proposing to the protagonist and her apartment is decked out to the nines. Frankly, it looks pretty damn funny. Director Todd Strauss-Schulson and his creative team have an incredible amount of source material to work from, even without stepping on the toes of They Came Together. They’re taking all of the worst aspects of this genre and putting them to work in a story about a woman living through a particular kind of hell. Wilson can carry a movie like this and I like its critical prospects. Recapping last week: With four movies last time around, we came within range on half of them. The Lego Movie 2: The Second Part (Predicted: 90% Actual: 84%) fell a bit over the course of the week, but still was a big critical hit. The return to Bricksburg was a successful one and the Phil Lord/ Christopher Miller screenwriting pair just continues to crush it in a way that few other animated film writers can do. Meanwhile, Cold Pursuit (Predicted: 82% Actual: 74%) also ended up within range. Like I said at the time, it was a good thing there were early reviews in on this thing. There’s no way I would have gone as high with the prediction had some critics not gotten early looks. The comedic element, poking fun at many of the Liam Neeson revenge flicks, worked for reviewers and it ended up certified fresh, where many of Neeson’s other flicks have not. The Prodigy (Predicted: 33% Actual: 45%) was a near-miss on the under side. I didn’t think it would outright stink, but these kind of family-gone-wrong horror movies do tend to struggle, if usually because they are often so formulaic. (See the opposite with Hereditary.) To be fair, it only has 42 registered reviews in the system. I bet if the entirety of the critical universe went and saw it, my prediction would be much closer. And finally, I totally whiffed on What Men Want (Predicted: 15% Actual: 47%). I’m very surprised on this one. The trailer was a total wreck without a single funny moment, and the premise is tired and worn. I’m just kind of shocked this received any positive reviews, but I’m clearly mistaken and missed something.